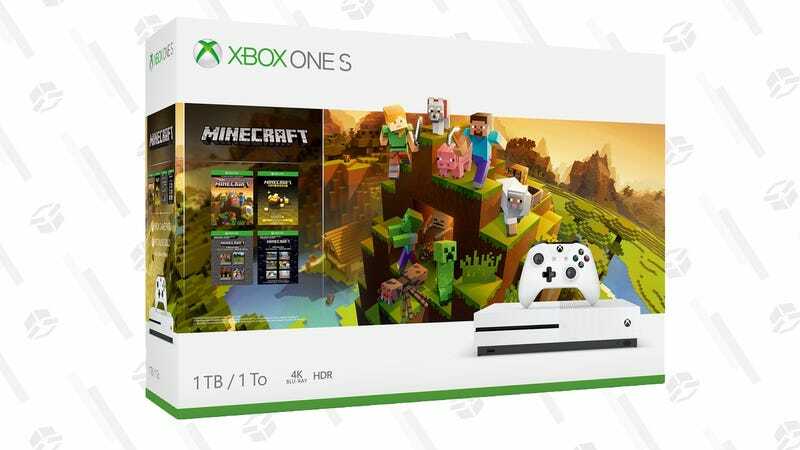 If you were holding out for Black Friday for an Xbox One S, this 1TB Minecraft Creator’s bundle just dropped to $199, complete with a copy of Minecraft and a bunch of DLC. Plus, you may still be able to use code ELLEN10 (new accounts only) to save an extra $10 at checkout. We think we’ll see this same bundle for the same price with a $20 gift card from some retailers closer to Black Friday, but if you don’t want to stress out about it selling out, it’s not a bad idea to buy it today.